Prism Care Corporation was recognized with the “Clean Technology” award for their accomplishments in developing and exporting innovative, EcoLogo Certified, sustainable, natural cleaning products to several countries around the world. 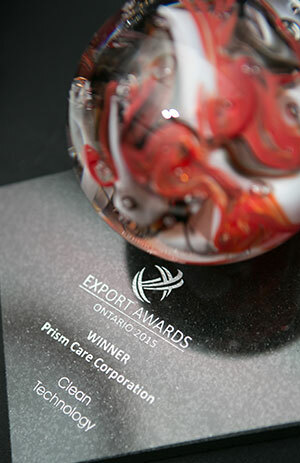 The Ontario Export Awards are the province’s most prestigious awards paying tribute to the success and innovative approaches of Ontario’s export companies. Extending across industries and including both rural and urban representation, the awards are a celebration of the contributions exporters have made to both the provincial and national economy.